He wants focus on his career he says, when asked if he has a special woman in his life. “No, I don’t want a girlfriend at the moment. They distract me,” he adds, giggling and blushing. It’s hard to believe these words were spoken by the man who stands accused of murdering his girlfriend Reeva Steenkamp on Valentine’s Day in his posh home in a high-security estate. 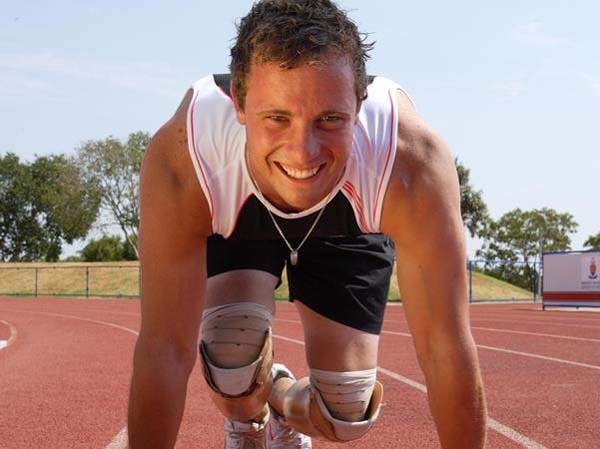 It was nine years ago when Oscar Pistorius – then a fresh-faced 20-year-old – told YOU there are no other women in his life other than his sister, Aimee, then an 18-year-old matriculant at Pretoria Girls High. It was just before he hit world headlines with his successful bid to compete with able-bodied athletes at the Beijing Olympics in 2008 and Oscar had none of the confidence he oozed before the calamitous events of 2013. Instead, he pointed out how normal he was – he loved to cook and to paint in acrylics and had a golf handicap of 17. The 20-year-old, who at that point presented SABC2 show Against All Odds in which he interviewed other sports stars who battled the odds, and his friends enjoyed riding their motorbikes at weekends (he had a Honda 300 cc quad bike). Things certainly have changed a lot in the past decade years, thanks to one night in February 2013. Oscar has been convicted of murdering his girlfriend, Reeva Steenkamp, and after years in and out of court, he'll likely spend six years behind bars for the crime. It’s safe to say there haven’t been many Sunday mornings with muffins and beer in the bush since then. A year after the interview with YOU he became the first disabled athlete to compete against able-bodied athletes and he became the darling of a nation and the world. It was then that more people began to see his darker side. In July 2008 just before the Beijing Olympics he swore at a South African reporter for quoting an athletics coach who said Oscar wasn’t yet ready to run a relay. “I never realised the ‘f’ and ‘p’ words could be used in so many different ways in such quick succession,” the journalist said. In 2009 he spent a few hours behind bars after slamming the door on Cassidy Taylor-Memmory, a friend of his then-girlfriend Melissa Rom. She sued him and they settled out of court. At the London Olympic Games in 2012 there were more flashes of rage. An athlete who shared a room with him asked to move out because Oscar spent so much time screaming at people over the phone. And when fellow Paralympic athlete Brazilian Alan Oliveira beat Oscar in the 200m final at the Paralympic Games Oscar lost his temper and ranted Alan’s blades were longer than his, giving him an unfair advantage. He apologised the next day but the damage was done. The Oscar he worked with years ago was very different, says Gianni Merlo, the Italian ghostwriter of Oscar’s biography, Blade Runner. Gianni was shocked when he received the call about Reeva’s death. “How can Oscar, the friend who transmitted his joie de vivre to me, have become an alleged murderer?” was the first thought that flashed through his mind.